I was reading the Reverend Mark Reisinger’s response to General Conference that he posted on his Facebook account. One line that particularly resonated with me is where Mark asks “did we really expect a great revival to begin through a majority vote in a convention center?” Reading some of the propaganda…hype…analysis before General Conference, I got the impression some really thought this would be a transformative moment in the life of the church on par with a grand scale revival. One of the problems in the church and in our society is that we always think we need one more thing to be happy or to thrive. Reading tweets and blog posts related to General Conference I got the impression, at times, it seemed like some felt if we could find the one more thing, we could set things right. Perhaps one more change to the Book of Discipline. A dollar more for this program. Some new power for bishops. The fact that most of the one more things did not get passed put a damper on the whole affair. Rich Mullins in his song “My One Thing” sings “everybody I know says they need just one thing and what they really mean is that they need just one thing more.” It seems like as a church we are always searching for that one thing that will set us right. One more program, one more administrative change, one more event, and so on. Rich in the chorus seems to come to the conclusion “you’re my one thing” as he sings to God. As a church, we have all that we need. Jesus has promised to be with us to the end of the age. Pentecost reminds us that we are not orphans, but we have the gift of the Holy Spirit. Our hope should not be built on the polity of our church, but standing on Christ our solid rock. 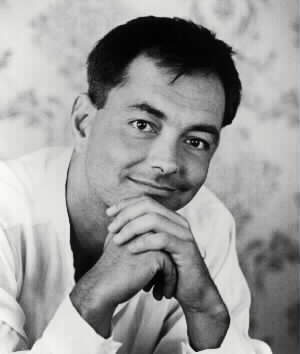 Rich Mullins. In the public domain.